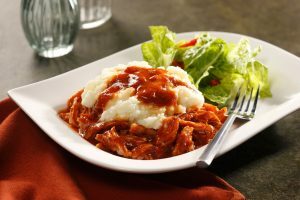 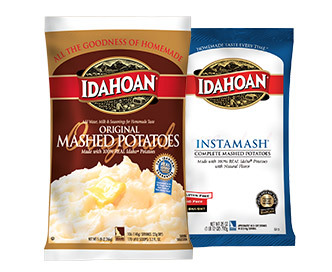 Idahoan Naturally® was developed to provide the same great flavor, texture, and easy prep as Idahoan® REAL Mashed Potatoes, but with less sodium. 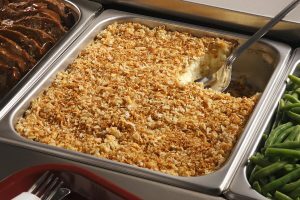 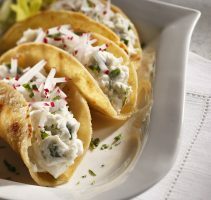 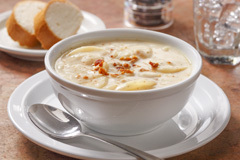 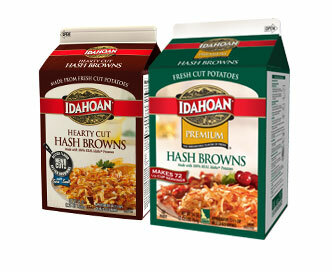 This makes them perfect for foodservice areas such as healthcare, or wherever low sodium options are required. 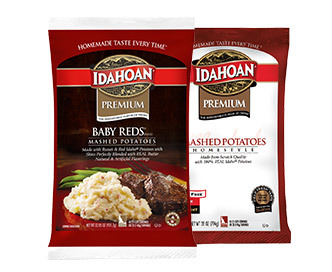 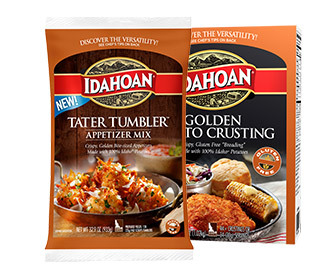 Idahoan Naturally® REAL Mashed Potatoes dehydrated potatoes are processed from sound, well peeled and trimmed 100% Idaho® Potatoes. 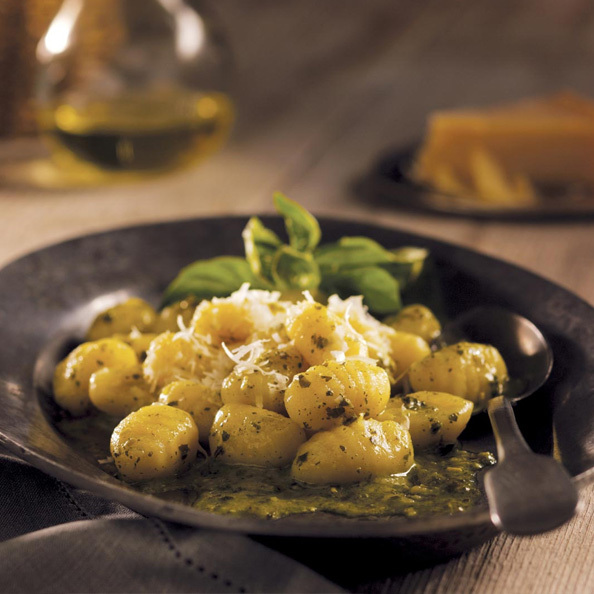 Measure boiling water into a steam table pan according to the chart below. 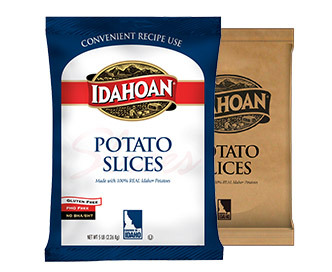 Add potatoes all at once, according to the chart below, using a spoon or wire whip to distribute evenly and wet all potatoes. 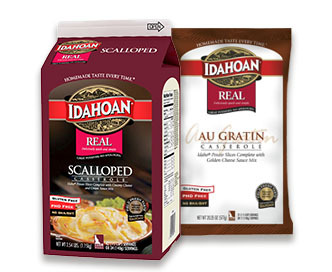 Let stand for 60 seconds, stir well and serve. 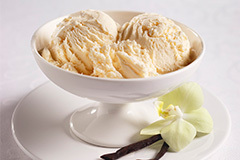 If desired, add 2 1/4 tsp. 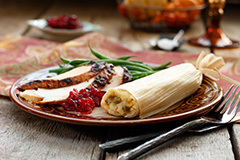 salt per 1/2 gallon of water (adds approximately 340 mg sodium per serving). 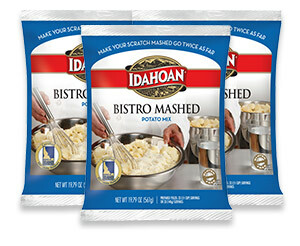 Idahoan Mashed Potatoes refresh at a 2 to 1 ration (i.e. 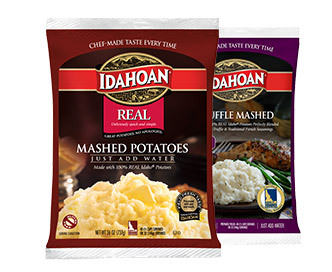 2 parts water, 1 part potatoes). 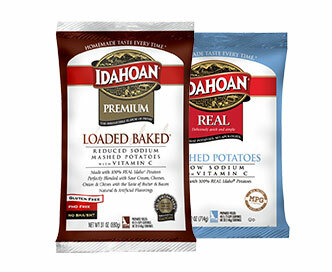 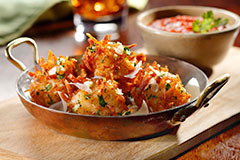 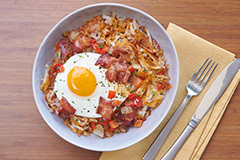 Idaho® potatoes, vegetable oil (contains one or more of the following: canola, soybean, cottonseed, sunflower), monoglycerides, calcium stearoyl lactylate, spice, artificial color, sodium acid pyrophosphate (preserves freshness), sodium bisulfite (preserves freshness), artificial flavor, citric acid (preserves freshness), mixed tocopherols (preserves freshness).